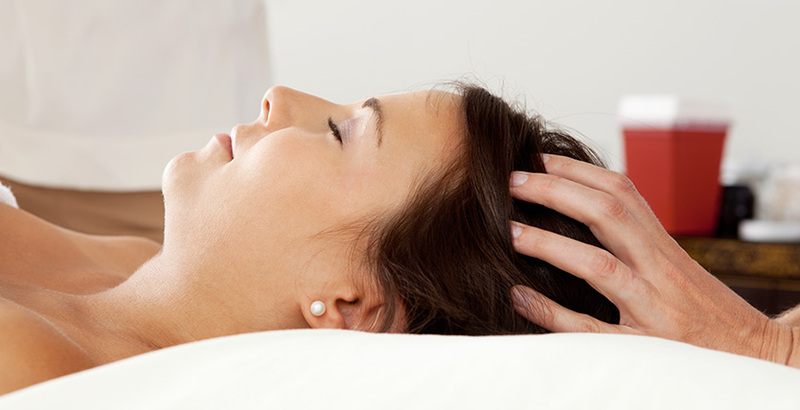 “Circulation-stimulating” massages are a crucial part of your hair healthy program. Massages should be done preferably daily to improve circulation, help nourish the scalp and keep the skin loose, thus allowing the blood to flow easily to the roots of the hair. a scalp with a plentiful network of blood vessels. Having a thick scalp, however, will not necessarily guarantee healthy hair. Other factors must be considered. For example, a thick scalp could also contain a high proportion of connective tissue. If this is the case, the surrounding blood vessels could become constricted by the pressure of this tissue. This pressure and the subsequent constriction reduces the efficiency of the blood vessels and decreases the delivery of nutrients to the hair follicles. Such a scalp may be recognized by its unusual firmness and immobility – it feels tight when massaged. So, for healthy hair growth one should have a scalp that is loose, thick and highly vascular. To begin, imagine yourself kneading a lump of dough. Place all ten fingertips firmly on your head. Arch your hands and make sure the palms aren’t touching the scalp. Remember, only the pads of the fingers should be pressing against the scalp. Stay in this arched position and push the scalp by drawing your fingers together. Hold for 5 to 10 seconds and then spread the fingers apart. Think of this whole exercise in terms of flexing and unflexing the fingers, while the fingertips are in a resting position on the scalp. Proceed by systematically moving the fingers to different positions on the scalp and repeating this technique. You must work on the whole scalp, always massaging from front to back, then back to front. In other words, start with the forehead and the sides. Next, proceed over the crown until you end up at the base of the neck. This path follows the natural route of the blood flow to the heart. When massaging from back to front, you will help the flow of fresh blood carry nutrients to each hair follicle.